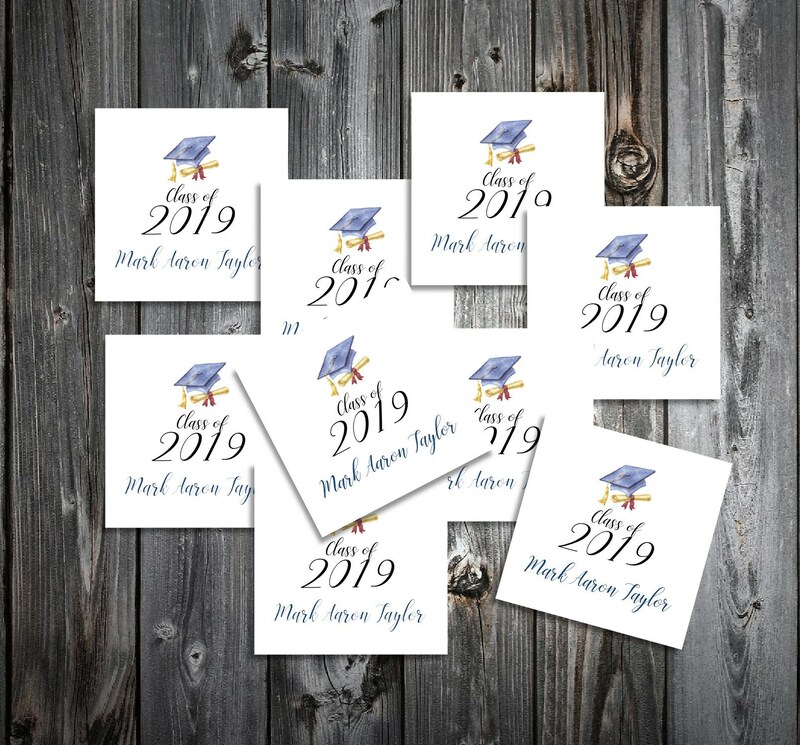 50 Graduation Favor Stickers. 2 inches by 2 inches. Price includes personalization and printing. ~ Favor Stickers~ only 7 cents each! When you receive your favor sticker labels, they will be all ready for you to put on your favors! Favor Stickers Labels: Measures 2" x 2". Comes in white only. These are self stick stickers. COLORS: The color of the & sign can be changed. Be sure to include your color request with your wording submission. How to submit your wording: You can either put your wording in the comment section of the payment or you can email it to me to my email address the is provided in your purchase confirmation. Need more or less than 50? Just message me and I can create a custom listing for the amount that you need. These are only 7 cents each!